LUZERNE - Ray Webster, 78, of Luzerne, died Tuesday, February 26, 2013 at 3:47PM at Muhlenberg Community Hospital. Mr. Webster was born December 13, 1934 in Butler County. He was a coal miner, having worked at Peabody Coal Co. from 1968 until his retirement in 1985. 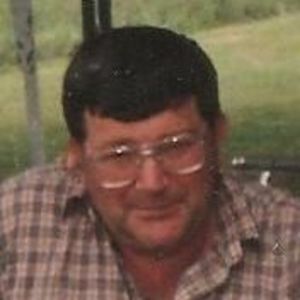 He was preceded in death by his parents, Elzie and Evie Webster; daughters Patricia Newman in 1987 and Wanda Webster in 2005; brother Carlos Webster; and nephew Kirk Webster. Survivors include his ex-wife and companion, Ollie Webster; brother Denzel Webster; sister Eva Gardner; grandchildren Dewayne Newman, Timothy Newman, and Nicole Bates; great-granddaughters Samantha and Tabitha Newman; and several nephews and nieces. Funeral services are private. Burial will be in Yeargins Chapel Cemetery. Tucker Funeral Home in Central City is in charge of arrangements. Online condolences may be made at www.tuckerfuneralhomes.com. The beautiful and interactive Eternal Tribute tells Ray's life story the way it deserves to be told in words, pictures and video. Ollie Mae, I am so sorry for your loss. Ray was a wonderful neighbor and he will be missed. If you need anything that I can help you with, just give me a call.